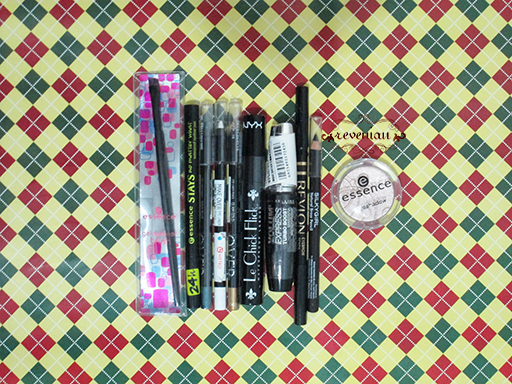 August 2014 Haul – Multi Products + DUPES ALERT! Hello Dear!! How are you??? 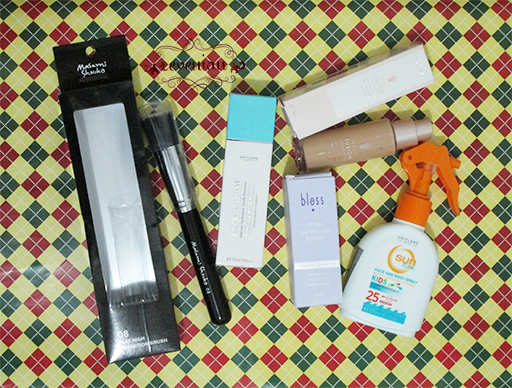 Now I am gonna show you what did I buy in the whole August.. Yaayy… It’s August Haul.. Still, not as crazy as it may looked but I will happily share to you.. Check them out, ladies…! First show comes from hair products.. You know what, I was sooooo freaking curious about what dry shampoo was. Considering of my long hair, there’ll be some time that I feel like I don’t wanna take a hair wash. Well that can be caused by many reasons as I’m in hurry or I just feel like I’ll be fine if I don’t take one. Hehehe. 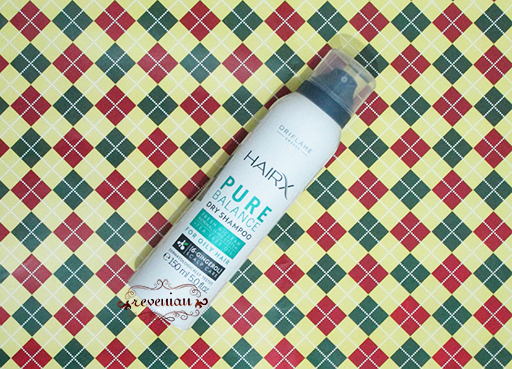 And seeing this brand from Oriflame has the dry shampoo from their newest line, Hair X, so I gave it a go..
Bagian pertama dari produk rambut ni… Tau ga sih, aku tu sebenernya pengeeeeen banget nyobain yang namanya sampo kering aka dry shampoo. Aku tu sebenernya punya rambut panjang, jadi kadang suka males banget buat keramas. Hehehe, ga kok, ga jorok tp paling yang biasanya 2 hari sekali trus jadi 3 hari sekali. Soalnya sekarang kan cuaca lagi panas bangettt!!! Kalo kelamaan ga keramasnya bisa gatel dan ketombean! Icchh…! Kebetulan Agustus ini Oriflame ngeluarin produk baru dari lini produk rambut mereka, Hair X, jadi aku pengen coba deh..
Second show comes from nail things.. Yess, I basically love my nails done because for me, the second thing people will notice you after your face is your nails. Haha. Usually, I’d like to buy these kind of things from Oriflame since as for me, this brand has the easiest access to be reached. I know some of other cosmetics brands maybe have similar products but if one time I feel like I need them, I have to go through some pre-order ways and it will take time to get my hand on it. Since Oriflame discontinued these kind of products, lucky me (or lucky Essence) Europe cosmetics brand “Essence” has come to Indonesia so I can get my hand on their products easily (although as far as I know, Essence only available in Bandung, West Java, Indonesia). Kemudian di bagian ketiga ada dari area wajah nih. 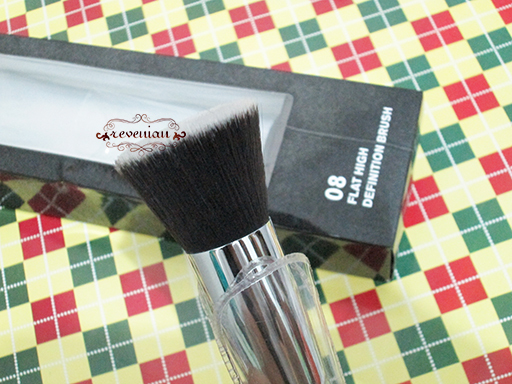 Nah, aku mau cerita sedikit karena pada area ini aku menemukan mainan baru lho.. Yap Masami Shouko Professional Flat High Definition Brush 08. Mau tau? Mau tau? Coba liat deh di gambar kedua setelah gambar di bawah ini, itu bentuknya miriiiiiiiiiiipppp banget sama Sigma F80!! Haha, sejujurnya, aku tuh emang ngincer banget Sigma F80 lhooo… Tapi berhubung harganya yang lumayan daripada lumanyun dan lagi-lagi harus menggunakan sistem PO di beberapa online shop yang menyediakan jasa itu, udah deh aku beralih aja ke Masami yang ini.. The next section, fourth one, comes from eyes department. Nothing special in here, but let me tell you one story that I was craving for any eyebrow products (other than gel/cream) for my brows. Long story short, I did kindda regret it to buy Revlon eyebrow pencil in “dark brown” since after using it on to my brows, the color seemed too red for me. 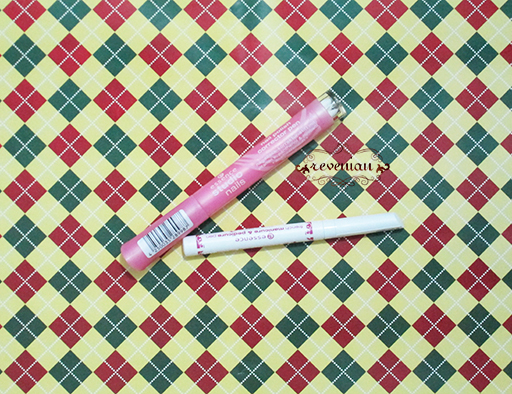 It was not too cheap for a drugstore brow pencil, it costed +/- Rp75,000 but the quality was not too good. When sweating around, it came off of my brows and left my brows “naked”.. *disaster* 😀 It made me to come back to my origin brow making process by using ELF gel cream liner in Coffee..
Yak, ini dia area mata. Area mata tuh adalah bagian kedua favorit aku setelah bibir. Hihihihi.. Ga ada yang spesial sih cuman aku mau rada curhat kekecewaanku nih. Aku kan lagi pengen coba-coba produk buat alis mata selain bentuk krim atau gel, nah akhirnya aku memutuskan untuk membeli Revlon Eyebrow Pencil warna cokelat gelap. Eh ya kok pas uda dipake hasilnya malah terlalu merah gitu buat alisku. Hufftt… Uda gitu kalau lagi keringetan tuh lama-lama luntur lho,,, lebih parahnya lagi sampe ilang.. Parah! Hahaha.. Akhirnya aku balik lagi aja ke ritual asli kalau mau bikin alis yaitu menggunakan ELF gel cream liner warna Coffee..
Now move on to the last section, the fifth. They are lippies. Hahaha, some of you may know that I personally looked for purple lips. I don’t know why but seems that I need something bolder, braver, and more different than my original personality and/or my comfort zone. Purple is somewhat a nice color to test on your guts. Aside from that, I’ve been putting my eyes to Lime Crime Velvetines in Wicked and Lime Crime Lipstick Glamour 101 and still don’t want to get busy with my bank account but searching for a local dupes. For these dupes, I have found three lipsticks similar to those “Wicked” and “Glamour 101”, by Viva Cosmetics, Make Over, and Oriflame. I’m a lipsticks junky!! So how about yours? Or do you want me to review and try one these products? Simply tell me in the comments below, I love chit-chats! Trus gmn nih haul kalian Agustus kemarin? Bagi-bagi cerita donk di komen! Atau ada yang tertarik mau di review olehku? Kasih tau aja ya lewat komen. Thank you! Fantastic haul post, I’m quite tempted to have a look around and see which are available over here! 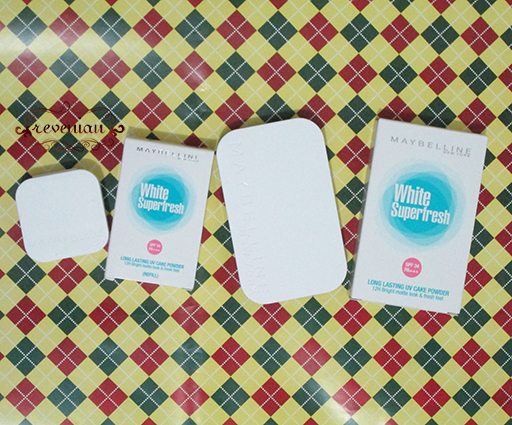 The Maybelline Super Fresh, I’ve eyeing for awhile mostly because their YouTube channel has been advertising with real-life bloggers demonstrating the product. Anyway, thanks so much for the great haul post! Hope to read more from you soon! Ya, I guess Oriflame is now global, eh? Whoa what a haul. I’m envious of the sheer number of lippies you’ve scored. And being an ‘eye’ person, am so loving the eyeliner’s you’ve got. oo that dry shampoo sounds good. i want to try it! I love the NYX lipsticks. The NYX Round Lipstick in Rose looks like a great color. Have you tried it yet? No, I haven’t Sara. Because the color is sooo bold in my opinion. Frankly speaking, it’s freaking me out. Hahaha, bcs actually I random picked this one after Heredes & Mars. Well, you know, girls, sometimes regretting thing after they brought it home. LoL. 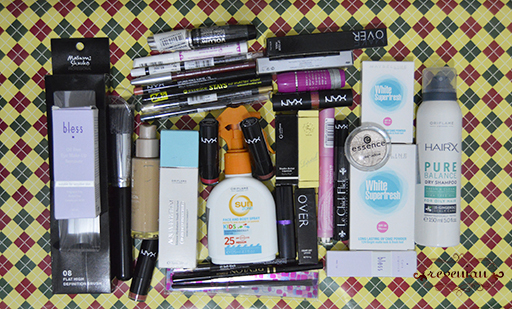 So much cosmetic product for August Haul.. Great. ooh ya oriflame udah ada dry shampoonya? 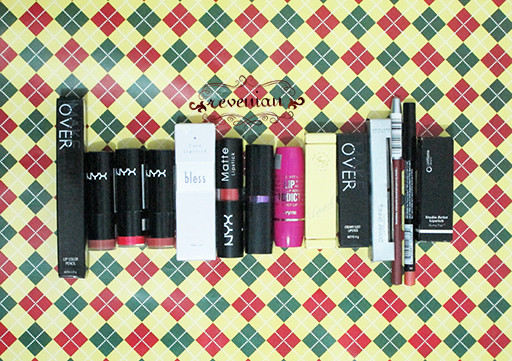 wahhhh boleh lah ini di coba..
i love all the nyx round lipsticks! so affordable for such awesome quality! i have the essence nail polish corrector pen as well, a very bad purchase. the tip is so hard it probably removed my screw up by scraping them off. I’m not really into makeup but the dry shampoo is intriguing! wow great haul! !i love the maybeline white powder too!!! Great haul! That brush looks promising. I love the Sigma one. Looks like you got some great things!! I have a few Sigma brushes and really like them. great haul. aku baru nyobain dry shampoo lokal, dan oke banget loh hihi.